Our project, is being well accepted by the entire cryptocurrency community, this has arisen after our announcement of the project GetCryptoPayments.net this ambitious project proposes to be one of the most popular, safe, profitable and that will have more users than previous platforms such as Coinbase, Coinpayments etc. we dare to make this affirmation, for the following benefits that it will offer to the whole crypto's community. First: Will serve as a Multi-wallet with great security and protection using a system similar to Bitgo. Second: Advantage of being a holder of more than 5 thousand EXMR, you will qualify to receive a dividend, a percentage of the net earnings for all the fees received, in its opening from the first quarter and thereafter monthly. Third: The merchants when receiving their payments through our gateway, in case it is with EXMR TOKEN this payment will be free of charge for both. Only with its gas cost in its transfer by the buyer. Fourth: We are accumulating a lot of money for 3 purposes: a) Include EXMR and make purchases within the main EXCHANGES. b) Create a large advertising campaign for the project GetCryptoPayments by EXMR MONERO around the world c) Keep the price continuously rising for future months. Fifth: All this is in continuous progress, our platform will be fully operational by the end of June 2018 and we ask for your continued support for the project. Very promising and interesting project. I already invested in here my 1000 dollars . Let us build a team without dumpers together. Remember this project from a long time ago, Good to see the team back doing a lot of work. % not a Scam.Exmr is already in some exchanges like Etherdelta and Forkdelta,visit the exmr website,join our telegram channel and see for yourself how good Exmr is. Sad to say bounty for Exmr had finish months ago.You can still acquire EXMR through our PreIco and ICO sale.And join our tekegram channel and get updated there.We have a lot of programs for our investors and we are giving away great rewards for some task. A wretched parody of the original coin. As well as the forks of Bitcoin. Great to see so many new privacy coins emerge. There can be no doubt that privacy coins is the future. Last edit: March 16, 2018, 08:33:29 AM by XRP dev. So, Mr. 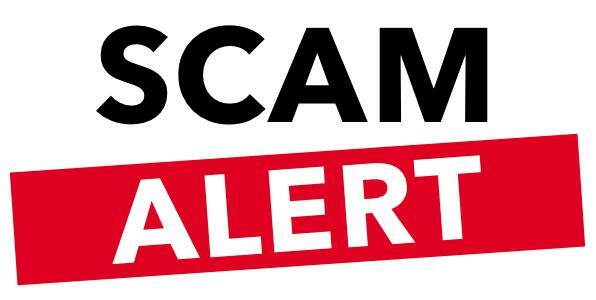 Negative you are here now, this is your daily work to call projects scam, do negative comments and ask free tokens, soon our all ripple team will report about you to BTT. Exmr is not a SCAM!! How can you say that this porject is a scam even the token is already listed on some exchanges? Please stop accusing the project without proofs. Thanks! And delete this image or we will report you to btt mod. Your assertion is spurious and lacks merit.EXMR is a reputable crypto with a solid team and concept.We have proof of our work in GitHub and we are listed on reputable ICO websites that vetted us before listing. You are welcome to join our community and see the value we offer. I suggest you join the community so you'll be able to know EXMR and the people behind this project. actually we never sleep,we are active 24/7 in developing and improving a lot of things in our project,If you happen to be in our telegram channel then you,ll know about it.
. EXMR is a real project with real goals and real team.I suggest you read our whitepaper and join our telegram to learn more about us .And refrain from making disparaging and baseless remarks.